Mike Madigan was not used to feeling intimidated. After all, as the CEO of ACME, a multi-billion US dollar EMS company, he was used to doing the intimidating. However, he had just finished a meeting with the CEOs of his two biggest customers and it was a disaster. They asked to “do lunch” with Mike and, after this event, Mike’s stomach was churning. If Mike was honest with himself, if he was them he would have been tougher. But, it was their teasing demeanor, punctuated with laughs and jokes, that made it all the worse. That these gentlemen had some points to make was inarguable. First-pass assembly yields were down 4%, and Mike’s answer, that it was because the technology was more challenging to assemble, did not fly. They told him to get that 4% back or they will find a company that can. Both of these gents had been process engineers when they were younger, so they “knew the ropes.” In a recent audit of one of ACME’s facilities, they found one process engineer, responsible for the stencil printing process, that didn’t know how to run the stencil printer. And this lad also could not locate the solder paste spec. Additionally, he could not explain what “response to pause” was. 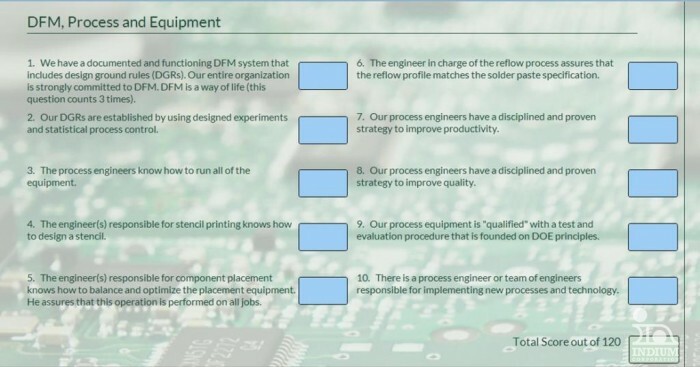 Another process engineer did not know how to match the reflow profile to the solder paste spec (after they finally located the spec). Mike’s answer, that ACME’s recent growth made it hard to keep the training of the engineers up to snuff, only made things worse. When asked what percent of his engineers hired in the last two years were SMTA certified, Mike didn’t know. He expected it was 0. Then, one of the CEOs said, “Things seemed to be much better when you had that Advanced Processes VP. What was her name? Patty something or other?” That was a big part of the problem. Patty Coleman was gone and, with her departure, things had gone to h#!!. Mike thought of asking Patty to fix things, but that would be unfair. She had only been at Ivy U for a year or so and was still getting established. Maybe the Professor could help. Mike hoped so. The CEOs wanted a plan in two weeks. Patty had just finished getting ready for a meeting with her husband Rob, Pete, and the Professor. 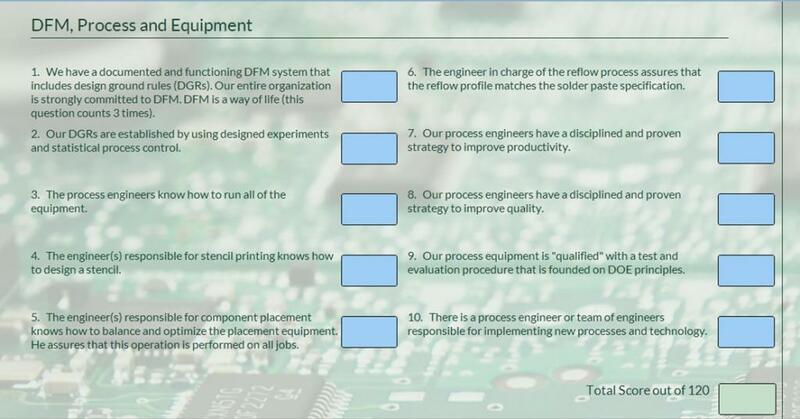 Ten days ago, the Professor asked if they could help him develop a software tool that would be used by ACME as a self-audit of their practices related to electronics assembly. The Professor said it was a request from Mike Madigan himself. Patty had a little time before the meeting, so she decided to check her email. Suddenly, she was disturbed by a knock at the door. “Professor, we wanted to ask you a question about probability. Is now a good time?”, a young lad who looked 11 years old asked. “Oh!, Sorry! I’m Henry Finn. But everyone calls me 'Huck'. And this is Chris Jenkins. We're both sophomores. You spoke about statistics at our Introduction to Engineering Class a few days ago. We're hoping you can settle an argument,” Finn began. 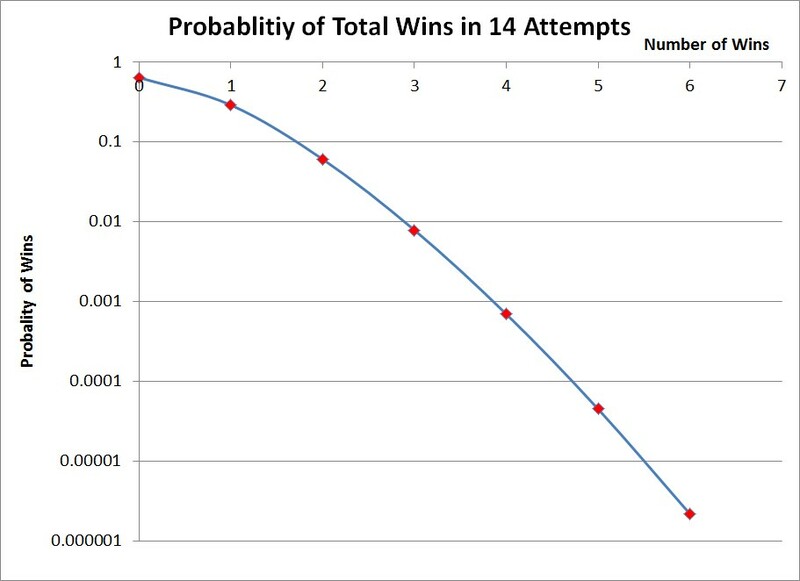 “Well, Huck says that since the Patriots are one of 32 teams in the NFL, the chances of them winning 4 Super Bowls is (1/32)^4 = 9.5x10-7, or about one in a million - if they had only an average skill level. I think it is more than that. Huck says the rarity of them winning four Super Bowls shows how much above average they are,” Jenkins jumped in. “Your analysis is not quite right. 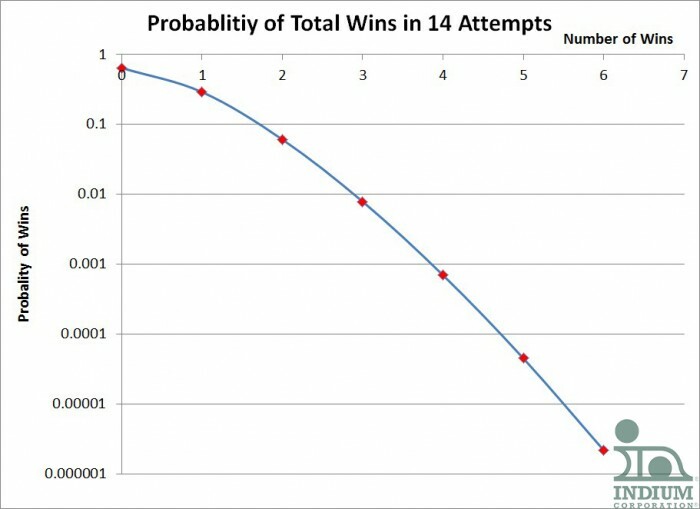 You calculated the likelihood of 4 wins in a row. They have won 4 out of the last 14 Super Bowls,” Patty said. Patty was on top of the Patriots stats as she was a big fan. “To perform the analysis, you have to use the Binomial Distribution. Let me see if I can calculate it using Minitab 17,” Patty said. She went to her laptop and, in no time, had a graph that explained the problem. “So, the chances of a team possessing only average skill winning 4 out of 14 Super bowls is less than 1 in a thousand. I’ll leave it to you two to decide what that means,” Patty summed up. Patty chuckled to herself as she saw the two sophomores arguing as they walked away. She looked at her watch and saw it was time to head to the Professor’s office. Patty was the last to arrive as Rob and Pete were already there. As she sat down, the Professor began. “Thank you for coming. I have incorporated all of your input and am pleased with the results. I’m hoping that we can review the resulting web application that was developed,” the Professor began. “Is it in English or one of the 17 other languages you speak?” Pete joked. “English, Pete. English,” the Professor chuckled. In reality, Patty, Pete, and Rob were thrilled to help the Professor develop this self-auditing software. They all knew that it isn’t that often that one can help someone like him. The Professor was only able to come up with 20 questions for the software. Patty, Pete, and Rob increased it to 40. Pete was proud that he contributed 8 of the additional twenty questions. The Professor flicked on his projector and displayed the first page of the self-auditing software. “This is the first of the four sheets for the software tool. I think Rob’s suggestion to name it ‘AuditCoach™ ‘ is a great idea. Let’s take a look and see what we think,” The Professor said. “I think it's good that you have the questions about the process engineers knowing how to run and optimize the equipment. It is surprising how many times that is not the case,” Patty commented. “That was Pete’s idea,” the Professor replied. Pete beamed from the recognition of the Professor. “I like the idea of making the first question count 3 times as much since it is so critical,” Rob chimed in. “Agreed,” Patty and Pete murmured. Over the next hour the group reviewed all 40 questions on the four sheets of AuditCoach™. Some minor improvements were made. AuditCoach™ can be found at this link. Why not try AuditCoach™ and see how your facility fares?